Patrick Morley is a freelance agent working with the Department of Defense. That is as close to the truth as can be done in a single line. He is really a former NATO anti-terrorism officer serving under General Neil Ashley, working to fight the forces that constantly challenge the West's way of life. He was considered by the General as one of the best men he had under his command. Morley relished the work and challenges and the successes. He also enjoyed the fact that he met his future wife in this work as she was also attached to Ashley's command. Together they planned a future of more work leading to children and to a normal life. That would not be as his wife was killed in a plane crash and Morley suddenly lost all purpose. He found he could not stay in the job that reminded him so much of his lost love so he resigned his commission and said farewell to his work and his commanding officer and headed to Florida for a new start doing ... well, doing nothing at all. It was while being so occupied, that is, doing nothing, that he met an elderly gentleman who saw in Morley a lost soul and also a man who could be put to good use. TO this old man, nicknamed Dan Caspar, Morley was a man who needed something to do or he would die a bitter man at an early age. Morley was also a man that could perform certain tasks as a courier that Caspar needed done in his role as a former underworld figure still active in getting to Person A what Person B had and was willing to part with that Person A needed, all done without either knowing how the transfer was accomplished. Also kept unaware was the authorities. For a while, Morley enjoyed the challenges and he acted as a courier on all sorts of things though he never allowed himself to be used to carry anything explicitly illegal and never anything related to drugs. Then Caspar ran afoul of his old colleagues and is killed and Morley is angered. He liked the old man and wanted revenge. He also saw a way to make a lot of money in getting that revenge. And he saw a way of helping the United States government strike at an underworld that was getting too cozy with the very terrorists that Morley used to fight. As the activities of the first book in this two-volume series conclude, Morley is reunited with the General and again becomes an agent, albeit a free agent this time, doing the sort of work he is so very good at. The underworld boss that Morley did odd jobs for has been killed and Morley sees it as an opportunity to make a lot of money but the mob catches on and Morley needs an old friend's help to stay alive. 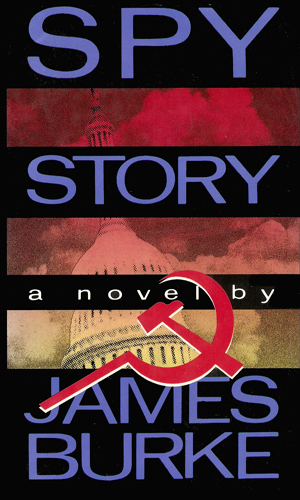 Morley is asked to help the General when a CIA mole in the Kremlin passes word of a KGB mole high up in the American government but then must kill himself before he can give a name. When I first examined these two books, I saw immediately that Morley was the protagonist for each. I also saw that the genres appeared to be completely different. 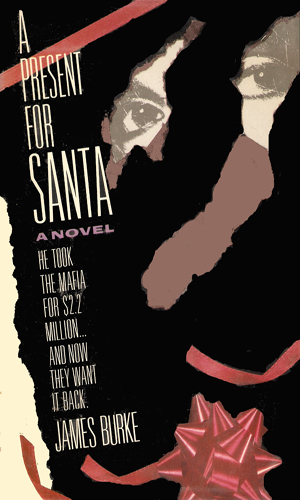 The first looked like a crime novel with revenge and a con being the particulars. The second was a straight-forward spy novel. How the two could be connected was more than a little confusing. All things are explained to those who are patient. Or who finally reads the books and sees that some things do make sense. I liked the Morley books. I like a good scam novel and the first definitely succeeds. I love a good spy novel and the second fills that. I liked the way that the author made the two work together. I wondered, though, and still do, why he only wrote the two. Morley could have done more. He should have done more. And seeing more of the beautiful and very capable Angela would have been a good idea, too. If you wonder who she is, read the books. You will like her, too.